There is a sense of elation when you see something familiar as if for the first time. Looking is one thing but seeing is something entirely different and for the three Western Australian artists identified as the Fremantle Realists – Marcus Beilby, Ken Wadrop, Ray Beattie – this process of seeing as revelation became their modus operandi. They were avowedly localist, rejecting the influence of international abstraction that had taken root in art schools in the early 1970s. Their work is the focus of an exhibition currently on display at the Fremantle Arts Centre. 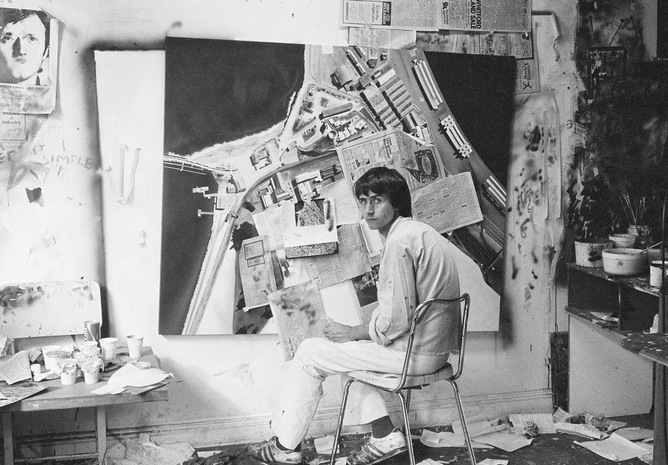 While still students Beilby, Wadrop, Beattie, along with their friend Ashley Jones, began to make paintings that documented their world of urban streets, city cafes and the trappings of suburbia. Inspired by American photorealists like Richard Estes rather than the more fashionable post-painterly abstraction of Morris Louis and Larry Poons they encountered some resistance from their lecturers and fellow students – enough to know they were on to something. 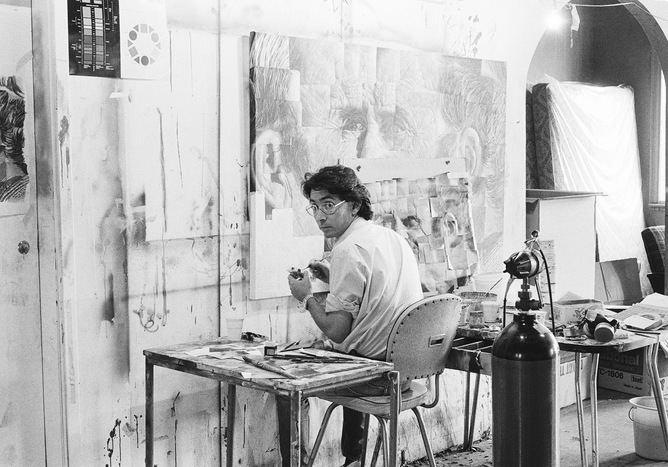 Early on in their careers as professional artists they held group and solo exhibitions in local galleries, attracting some avid collectors and influential supporters, such as Lou Klepac at the Art Gallery of Western Australia. It was Klepac who curated the High Street Studio Realists exhibition in 1980. That exhibition featured the work of Beilby, Wadrop and Beattie. It toured to the National Gallery of Victoria and the Art Gallery of NSW after opening at the Art Gallery of Western Australia – and established the national bona fides of the group. Their brand of realism was a celebration of the everyday. From their shared studio in High Street Fremantle Beattie, Beilby and Wadrop painted the port and the buildings of the city, the life they saw around them, the signs and their lurid juxtaposition against the boring monotony of suburbia. They were responding to an international trend of hyperrealism or photorealism that viewed the world through the lens of a camera and then translated that image onto canvas through the traditional skills of picture making. Even so, the paintings they made were about “here” and for many locals the return to an art that was intelligible, local and current was thrilling. A key theme for Wadrop was the social history of the wharf that had so definitively constructed the character of Fremantle as a port city. The narratives of the migrants and the maritime workers and their role in the growth of the city are fundamental to an understanding of its sense of place. His Action Painting was a document of those rambunctious times when men fought and died on the wharf. Even though the peeling paint and pile of discarded ropes in Wadrop’s painting remind us of the changing fortunes on the docks, the call for action still lingers on. The title of this work was also wonderfully ironic. Gestural abstraction or “action painting”, as critic Harold Rosenberg called it, was the antithesis of the Fremantle Realists’ artistic manifesto and in this work that dichotomy is epitomised by the meticulous rendering of the “Action” sign. Also on their doorstep, the beach was another theme that absorbed Marcus Beilby. The beach is a site that characterises the Western Australian lifestyle of hedonistic pleasure, relaxed contemplation and languid pace, where people socialise or go in search of solitude. 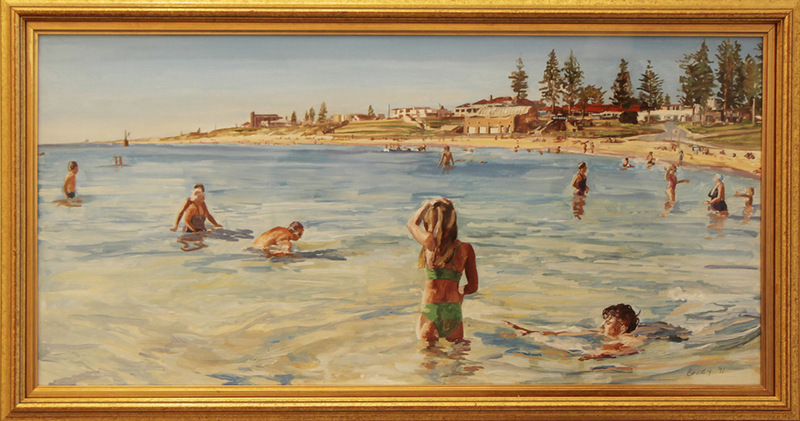 His painting of Cottesloe Beach in 1991 shows how little life has changed and also reminds us of what has been gained and lost. The buildings on the shore are now all different, the amenities have improved but the social rituals remain the same. One long-term benefit for those who know this place is the record of how much Fremantle has changed. 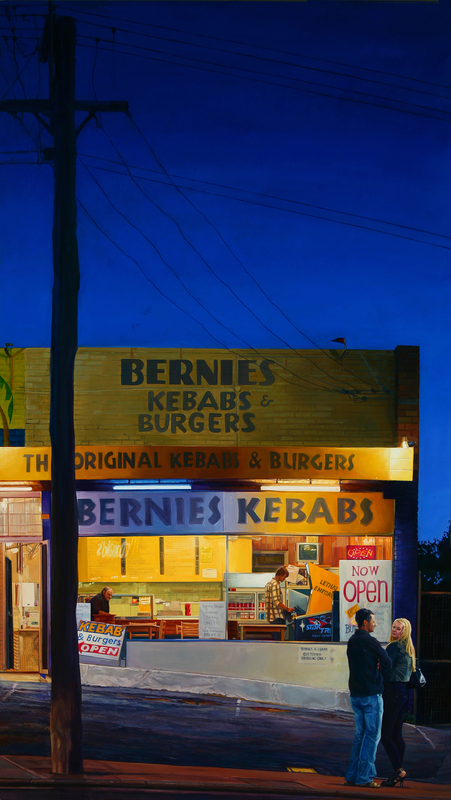 In Big Night Out Beilby documents the institution of the small corner deli – now only a memory, but in his painting boldly realised in resonant colours and intimate detail. Replaced by the ubiquitous fast food chains the small corner deli was a vital hub of the social life of Fremantle that has now almost entirely disappeared. Part of the seductive appeal of these works is their ability to convince us to see what we know, but can’t see in our everyday lives. There is no peripheral vision, no softening of focus; everything is sharply registered and demanding our attention. This is a hyper-real world that can only exist in our imagination or be captured with the dedicated skills of painters like Beilby, Wadrop, Beattie, and Jones. 34 years later the current exhibition at the Fremantle Arts Centre titled Fremantle Realists documents their work from the eighties until the present. It captures the excitement of their early experiments with photographic realism, their steadily increasing technical ability and their abiding fascination with their immediate surroundings. The show also includes a body of work that reminds us of who we were and what we have become. Fremantle Realists is on display at the Fremantle Arts Centre until July 17. Details here.